MC9200, Premium, WLAN 802.11a/b/g/n, Standard Range 1D Laser, Color VGA Screen, 1GB/2GB, 43 key, Ce 7.0, Bluetooth, Ist. Interface cables and charging cradle sold separately. For Single Slot Charging Cradle Kit (Part# CRD9000-110SES). For 4 Slot Charging Cradle (Part# CRD9101-4001CR), Power supply (Part# PWRS-14000-241R), DC cord (Part# 50-16002-029R) and AC line cord (Part# 23844-00-00R). MC9200, Gun, Wi-Fi (802.11a/b/g/n), 1D Long Range Laser - Lorax (SE1524), VGA Color Screen, 1GB RAM/2GB Flash, 53 (5250) Key, Windows Embedded 6.5.x, MS Office, Bluetooth, IST, RFID tag. Interface cables and charging cradle sold separately. For Single Slot Charging Cradle Kit (Part# CRD9000-110SES). For 4 Slot Charging Cradle (Part# CRD9101-4001CR), Power supply (Part# PWRS-14000-241R), DC cord (Part# 50-16002-029R) and AC line cord (Part# 23844-00-00R). MC9200, Gun - 802.11a/b/g/n - 2D Imager (SE4750 MR) - 1GB RAM/2GB Flash - 53 key - VGA Color - Android KitKat - Bluetooth - IST - Interface cables and charging cradle sold separately - For Single Slot Charging Cradle Kit (Part# CRD9000-110SES) - For 4 Slot Charging Cradle (Part# CRD9101-4001CR) - Power supply (Part# PWRS-14000-241R) - DC cord (Part# 50-16002-029R) - AC line cord (Part# 23844-00-00R). MC9200, Gun, Wi-Fi (802.11a/b/g/n), 1D Long Range Laser - Lorax (SE1524), VGA Color Screen, 512MB RAM/2GB Flash, 53 (5250) Key, Windows CE 7.0, Bluetooth. Interface cables and charging cradle sold separately. For Single Slot Charging Cradle Kit (Part# CRD9000-110SES). For 4 Slot Charging Cradle (Part# CRD9101-4001CR), Power supply (Part# PWRS-14000-241R), DC cord (Part# 50-16002-029R) and AC line cord (Part# 23844-00-00R). MC9200, Gun, 802.11a/b/g/n, 2D Imager (SE4750 SR), VGA Color, 1GB RAM/2GB Flash, 43 key, Android KitKat, Bluetooth, IST. Interface cables and charging cradle sold separately. For Single Slot Charging Cradle Kit (Part# CRD9000-110SES). For 4 Slot Charging Cradle (Part# CRD9101-4001CR), Power supply (Part# PWRS-14000-241R), DC cord (Part# 50-16002-029R) and AC line cord (Part# 23844-00-00R). 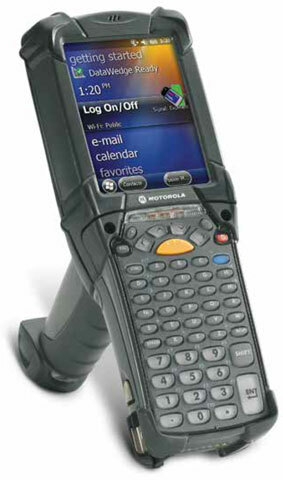 MC9200, Gun, Wi-Fi (802. 11a/b/g/n), 1D Standard Laser (SE965), VGA Color Screen, 512MB RAM/2GB Flash, 53 (5250) Key, Windows Embedded 6. 5. x, Bluetooth. Interface cables and charging cradle sold separately. For Single Slot Charging Cradle Kit (Part# CRD9000-110SES). For 4 Slot Charging Cradle (Part# CRD9101-4001CR), Power supply (Part# PWRS-14000-241R), DC cord (Part# 50-16002-029R) and AC line cord (Part# 23844-00-00R). MC9200, Standard, WLAN 802.11a/b/g/n, Standard Range 1D Laser, Color VGA Screen, 512MB/2GB28 key, We 6.5, Bluetooth. Interface cables and charging cradle sold separately. For Single Slot Charging Cradle Kit (Part# CRD9000-110SES). 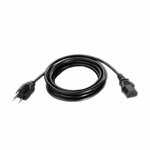 For 4 Slot Charging Cradle (Part# CRD9101-4001CR), Power supply (Part# PWRS-14000-241R), DC cord (Part# 50-16002-029R) and AC line cord (Part# 23844-00-00R). Service Contract - 3 year, 3 Year Zebra OneCare Service Center Essential. Does not include Comprehensive coverage. Does not include coverage for cradles. Service Contract - 1 year, 1 Year Zebra OneCare Essential Renewal. Includes Comprehensive coverage. Does not include coverage for cradles.